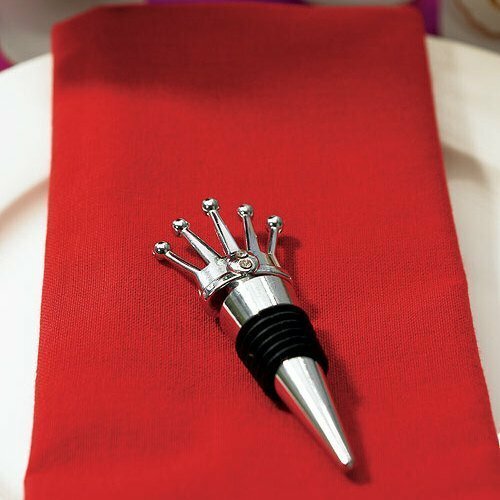 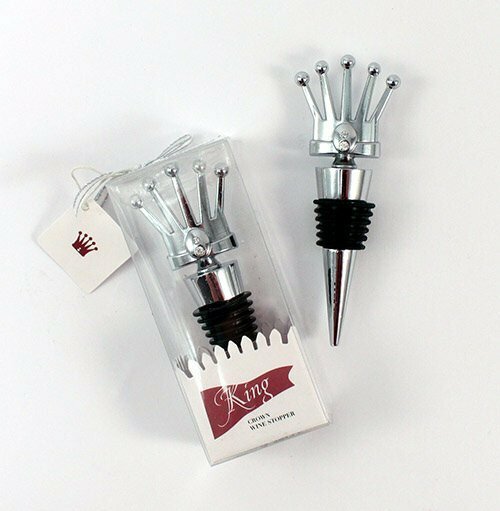 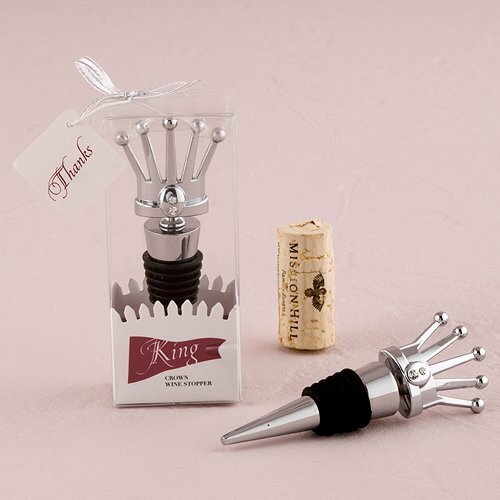 Add some regal flair to your wedding with these unique and practical wine stopper favors. 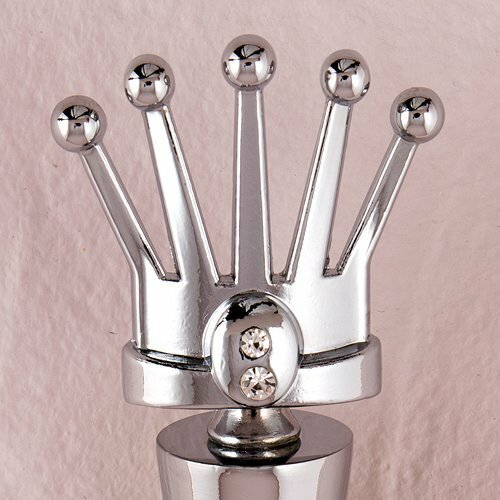 The King's Crown design complete with crystal 'jewels' makes these favors an excellent choice for fairytale weddings....mix and match with our queen themed ones for a regal pair at your event. 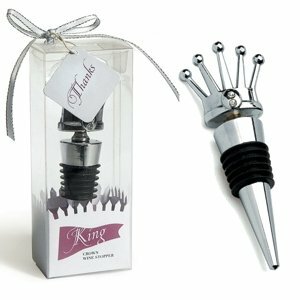 Each wine stopper arrives in a tall standing gift box that is tied with a ribbon and a small 'Thanks' tag. 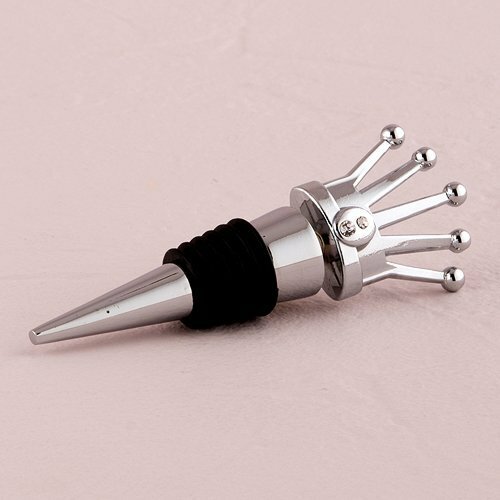 The minimum order is 24.Product dimensions: 1 3/4 x 4 1/4" H.